The Pink-footed Goose is a breeding bird of the northern parts of Europe, e.g. Spitsbergen. 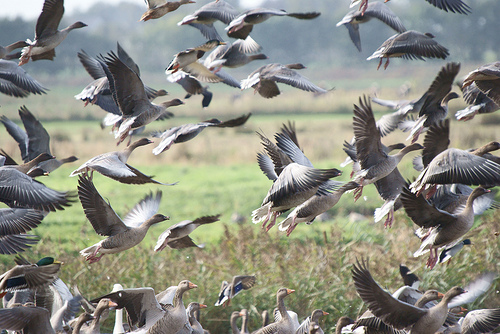 Every year, tens of thousands of birds come to the Netherlands, almost all of them remain in the southwest corner of Friesland. 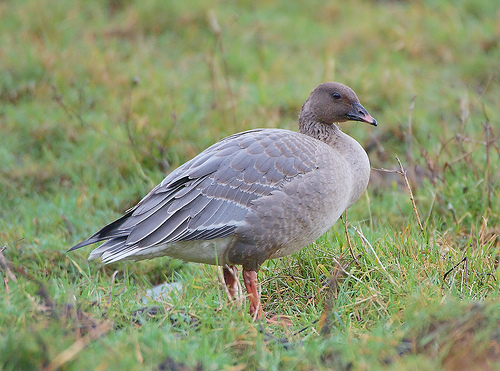 The Pink-footed Goose is recognisable by its pink legs, dark brown neck, and dark grey wings. The Pink-footed Goose is considerably smaller, has pink legs, and much greyer wings. The Pink-footed Goose is considerably smaller, has of course pink legs and much greyer wings than the Taiga Bean Goose.